It’s not always about what you do. Sometimes, what you don’t do is just as important. You’ll find that this truth often applies to the world of marketing through an email newsletter or an email list. Why? Because the relationship between you and someone’s inbox is a very special thing—and if you don’t do it right, you can screw up all sorts of potential conversions before they ever happen. But if you avoid the classic mistakes, you’ll not only stand a higher chance at getting more conversions—you’ll build a more positive relationship with your newsletter, which in turn helps you build a bigger following for your business. Without any further ado, let’s get to it. The subject line is probably the single most important element of your newsletter. With a good subject line, the rest of your email gets “heard.” It gets opened. People want to click it, and they want to hear what you have to say. With a bad subject line, your email gets overlooked, deleted, or simply ignored. Introduce a story. A great subject line isn’t just something that intrigues. It’s something that should intrigue the reader enough to click forward. And that means it should feel like an interesting puzzle piece—but it won’t be complete until the reader opens up the email. That isn’t to say you should deliberately create over-the-top teases for your subject lines, but it means you should create some incentive for clicking forward. Don’t be boring. Don’t put people to sleep when it comes to your marketing. You don’t want it to look like you’re giving your potential leads homework to do either. Instead, you want to put it in simple terms. Make it look like if your potential lead opens your email, they’re not going to have to spend hours deciphering your message or offer. Use “power” words. You can find a list of “power” words online anywhere you look—they’re what effective sales are made of. Sprinkle a few of these power words into your emails and you’re sure to have a much more successful opening rate for your newsletter. Sure—it’s important to put a lot of thought and effort into crafting subject lines that draw people in. But that doesn’t mean you should do this at the expense of the rest of your newsletter. 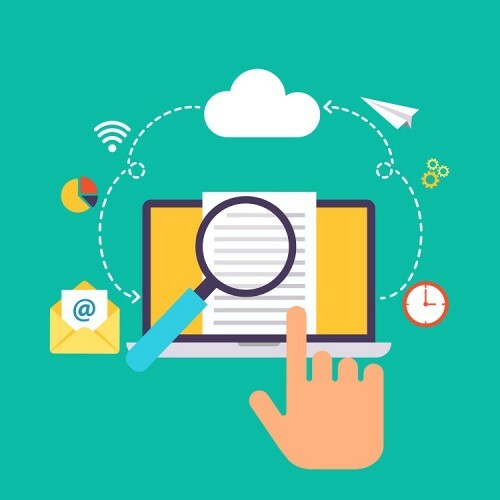 If you really want to drive engagement and draw more conversions from each of your newsletters, you’re going to have to also follow up on the subject lines with intriguing insights and useful information. In short, you’re going to have to make people want to convert. That means taking the time to create emails that tell stories. Remember that tip in the previous section—that a subject line should introduce a story? That means the body of your newsletter should follow up on that story. It should take people on a brief journey. If you’re in the mortgage, real estate, or insurance business, you should make sure that you address these specific issues. Really put yourself in the shoes of someone who might be reading your emails and thinking about working with you. A great shortcut for accomplishing this? Picking a theme. Just one story or theme for each newsletter will suffice. Remember: you don’t want to give them homework. You simply want to tell a brief story—a story that can include insights, tips, or even questions. By the end of your email, you’ll want them to think about what they’ve read, and introduce an intriguing thought. And possibly introduce the idea of taking the next step by clicking on your call to action. A/B testing is the bread and butter of sophisticated online marketers. If you want to be just as sophisticated in your approach to your newsletter, great. But it means that you will have to put in a little effort in researching what most resonates with your audience and potential leads. That means testing a few different elements out. For example, you might run an A/B test where the emails are identical, but the call to action button itself is changed. This helps you isolate what your call to action link at the end should look like. There are plenty of elements on each email that are worthy of testing—subject lines, first lines, visual elements, etc. In other words, there’s no shortage of testing and research you can do. You might want to keep this to a minimum in the early stages of your email list, however. A smaller sample size often means that you won’t end up with enough information to make educated guesses about the future of your newsletters. Good testing requires both diligence and adequate numbers. Don’t make new assumptions without testing them first. Over time, you’ll learn what works with your audience and what doesn’t. That will lead to better emails—and more conversions on each email. It shouldn’t. Because engaging with your audience isn’t boring. Grabbing their attention isn’t boring. Coming across like a professional isn’t boring. But I’ll spare you the lecture. You know that you need good formatting. The question is, what exactly does that entail? Proper grammar and spelling. Write your newsletters up in Microsoft Word or even run them through Grammarly online before you send them off. Just one quick run-through can save you major headaches, particularly if you have a large email list. Send a few emails to yourself, including on mobile. You want to make sure that the emails you’re sending out actually look how they’re designed to look. And the only way to do that is to actually put yourself in the shoes of a potential lead. Hire a proofreader. Okay, maybe you don’t need to take this step—but if you find yourself strapped for time, you can always hire a remote proofreader to go through your emails and even upload them for you. It’s a nice way to automate that kind of process, especially if you aren’t too keen on constantly micromanaging your emails. You have to work at it. You have to put time and thought into your emails. If you want to resonate with your audience, you’ll have to put yourself in their shoes. You’ll have to create stories that are relevant to what they’re going through. Sure, sometimes you can share what’s going on at your business—and people do appreciate that. But as a business, you know that your ultimate role is to serve your clientele. To establish yourself as someone they can trust, your emails have to reflect that—by dealing with the issues your potential leads most care about. 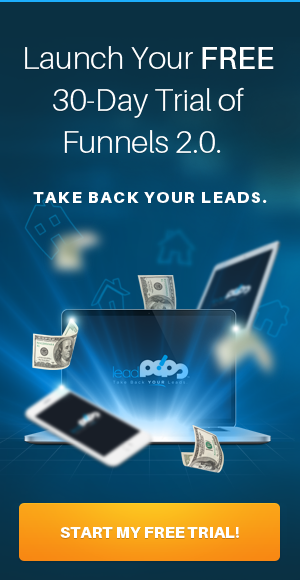 What’s the point of all of it if you’re not going to convert your email recipients into tangible leads (conversations)? Just because someone is in your database and you email them from time to time doesn’t mean they’re a slam dunk when it comes to doing business with you. Even past clients and referrals need to be “reactivated”—in other words: persuaded to take action, right here and now. Each email you send should have engagement tools integrated into the content—all I’m talking about is a simple link or button—that drives the reader forward to the next phase of the conversion process. That’s then part all the big boys—Zillow, Bankrate, QuoteWizard, etc.—have mastered. And that’s the part 99% of loan officers/mortgage brokers, insurance agents/brokers, and Realtors struggle with. After all: you can’t do business with clicks. If you want to catch mice, you need an effective mousetrap; the right tools make all the difference. 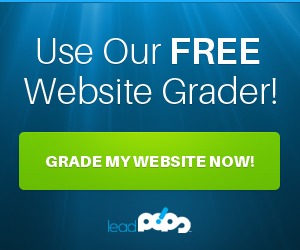 For vital tools when it comes to lead generation for mortgage, real estate, and insurance marketing, be sure to sign up for a free trial of leadPops.